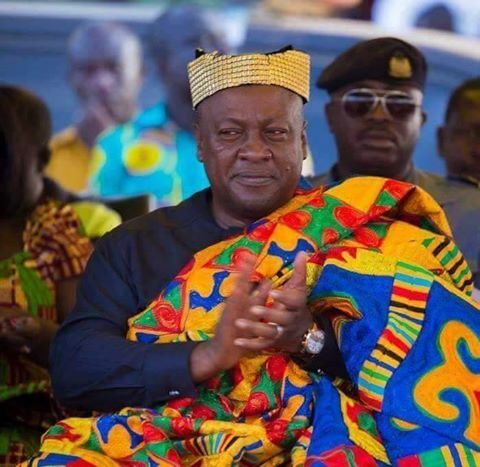 Presidentsident John Dramani Mahama has stated that the country is moving in the right direction and that the government will stay focused to achieve what is best for the people. Addressing the Ghanaian community in the United Kingdom in London, the President said in spite of the challenges that confronted the economy, significant progress had been made. President Mahama was in London for the UK-sponsored Anti-corruption Summit and, in line with tradition, interacted with the Ghanaian community there. He cited some of the projects that had been undertaken by the government and said those were impacting positively on the lives of the people. From roads to education, health, water and electricity, among others, the President said the government had spent money judiciously to improve the lives of the people. President Mahama also said the revival of some defunct industries established by the erstwhile CPP government, such as the Kumasi Shoe Factory and the Komenda Sugar Factory, would create jobs for the youth and promote economic growth. Corruption, which has become the most topical issue in recent times, was also discussed. He re-emphasised his determination to battle the canker and called for the support of Ghanaians in the fight. President Mahama said the strides his government had made in tackling corruption were verifiable and dismissed assertions by some people that his government was corrupt. He told his critics to name the corrupt ministers in his government so that he could deal with them. “All the time people keep saying that [your] ministers are thieves. Then I ask them, which ones?” he said. President Mahama said moves to protect the whistleblower was another evidence of efforts to fight corruption. He also said the Attorney-General was working on the Whistleblowers Amendment Bill so that it could be promulgated. Touching on this year’s general election, the President reassured Ghanaians of his resolve to preside over peaceful elections. He noted that the country had the enviable image of being a democratic nation and urged Ghanaians to ensure that the elections were conducted peacefully. President Mahama said despite the continuous and scathing attacks on the Chairperson of the Electoral Commission, he was enjoined by the Constitution to keep her at post till her tenure expired. On the political divide, the President said it was important for all the players in the political arena to support her as she worked to ensure peaceful elections and questioned why people were calling for the removal of Mrs Charlotte Osei, the EC Chair. He explained that he was not clothed with the law to remove the EC chairperson.